Street in Rehovot receives dubious honor of most dangerous road in Israel, courtesy of the Or Yarok road safety organization. 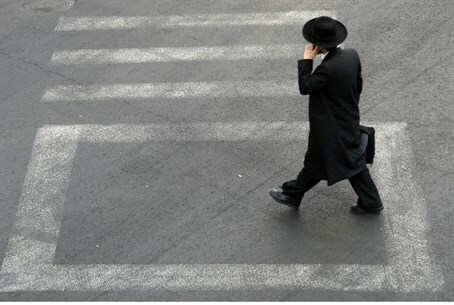 The most dangerous street in Israel is Herzl Street in Rehovot, the Or Yarok road safety organization said Monday. The organization cited data from the Central Bureau of Statistics that showed that 131 of the 309 people killed in road accidents in 2013, or 42%, were killed in Israel's cities. That's 11% higher than in 2012. Based on the data, Or Yarok has listed 40 streets in Israel's cities as “red streets,” where the possibility of an accident taking place are highest. The data was based on an analysis of 4,084 incidents that took place between 2010 and 2013. Based on the data, Herzl Street in Rehovot is most dangerous, with over 250 accidents, two dozen of them fatal, during the period. Overall, Tel Aviv is the most dangerous city, with three streets having in excess of 150 accidents during the period, nearly 70 of them with fatalities or serious injuries. In Jerusalem, the most dangerous streets were Hevron Road and Golda Meir Boulevard, which accounted for 56 serious accidents during the period. According to Or Yarok, one possible reason for the increase in the number of accidents is due to budget cuts in recent years in efforts to prevent road accidents. Instead of 550 million that the government has said is needed annually for the effort, recent budgets have allocated only about half that amount. Samuel Aboav, CEO of Or Yarok, said that “not only is the driver at fault in traffic accidents; the Israeli government is as well. The state needs to invest resources in order to allow the police to step up enforcement in cities, as well as investing in improving the infrastructure of roads and highways. Increased enforcement on dangerous streetand increasing police visibility may reduce the high number of casualties,” he added.